A small fishing village with white narrow streets and pristine beaches, Nerja is one of the most popular wedding destinations in southern Spain. Boasting spectacular views of the Mediterranean and surrounding mountains, Nerja is the perfect place for celebrating your dream wedding. 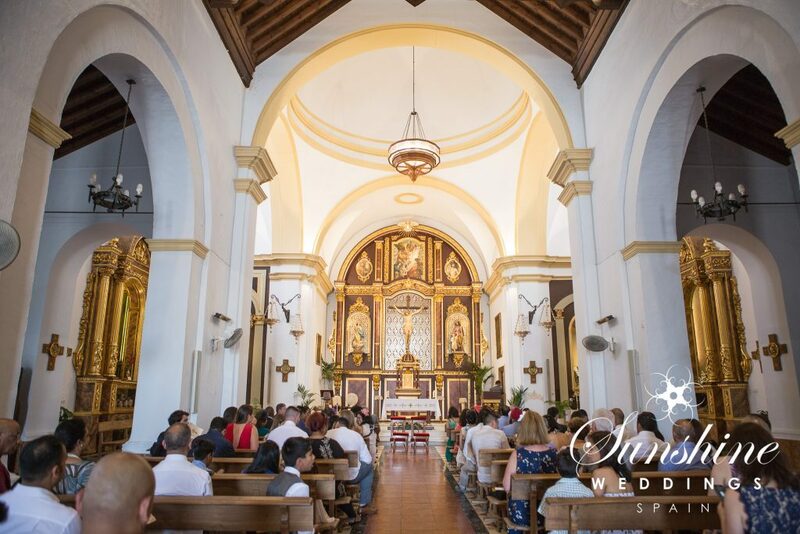 With a variety of local churches steeped in history, it’s no wonder so many foreign couples choose to take their vows here. 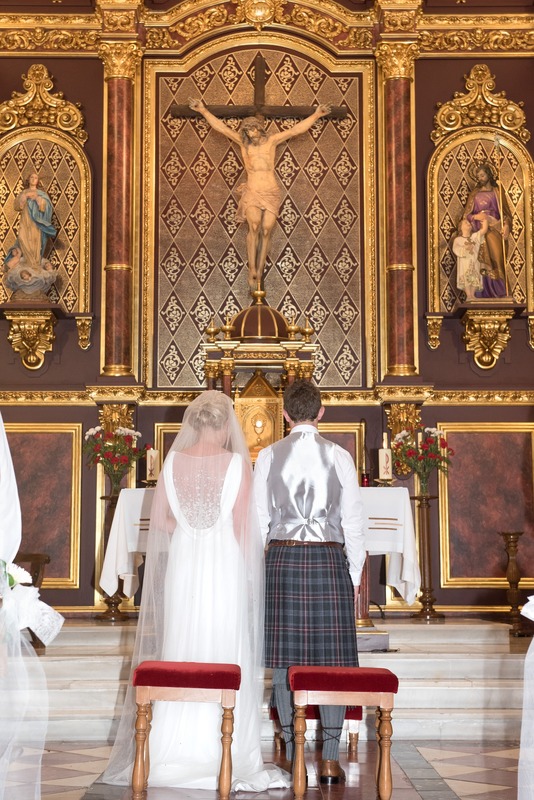 In today’s blog we will be talking about our top three locations for a church wedding in Nerja. The Iglesia de San Antonio (San Antonio church) is the main religious structure in Frigiliana. Nestled on a mountainside and surrounded by the beautiful village, this church was built in 1676 and is breathtaking in its beauty and simplicity. Located in Calle Real, San Antonio was built on the site of an old mosque and its bell tower is the former minaret of the mosque. Inside, the church is impressive, from the altar to the statues throughout. The interior of the church has three naves separated by pilasters and covered by a wooden roof. The height of the transept is increased by means of a dome with lantern. Of special interest are the life-size sculptures on either side of the main altar, as well as the masks of the apostles, which date back to the 18th century and are still used every year at Easter in village celebrations. A little plaza faces the church where wedding guests can enjoy drinks and tapas. Frigiliana is one of those white villages in southern Spain that often makes it to “The 10 most beautiful villages in Spain” lists. Only 70 km away from Malaga and 5 km from Nerja, Frigiliana is located on the slopes of Sierra Almijara, offering one of the most incredibly beautiful views of the Costa del Sol. With its multicultural history, pretty whitewashed houses and immaculately kept streets, the village makes the ideal backdrop for your wedding day photos. a cozy group of approximately 50 guests), making it ideal for smaller weddings. Built in the late seventeenth century, the church underwent several reconstructions after being destroyed by fire. The plain facade with a pyramidal tower is simplicity at its best. The church also houses the image of the Virgen de las Maravillas, patron of the town. The charming village of Maro, with a population of 800, is situated on the coast, 3 km to the east of Nerja. The authentic Andalusian village is surrounded by rugged mountains and unspoiled beaches. The town is well known due to the famous Caves of Maro. Another highlight is the Maros Blue Flag beach Caleta de Maro, a secluded cove widely considered one of the best beaches in Andalusia, and indeed in all of Spain. The church of El Salvador dates back to the 17th century and is located in the heart of Nerja. Situated in the bustling Balcon de Europa square, it is the hub for many festive occasions. The white-washed building with a bell tower greatly enhances this already beautiful part of town. The centre of town is a traffic-free zone, making it perfect for weddings. The building is baroque-neoclassic style, with three naves separated by pillars and half point arches. It is one of the few temples in the world with representations of the three archangels, as San Miguel (Saint Michael) is the patron saint of Nerja. The church boasts a new installation of TV screens so that guests do not miss a single detail of the ceremony.